With over 20 years global experience as licensed recruiters, we understand our clients’ needs. Employing the right people is crucial for any business. We specialize in recruiting for Construction trades, Mechanical trades, Technical trades, General trades, Engineering, Catering and Nursing for temporary, contract or permanent employment needs. Our team of highly specialised consultants use their industry knowledge and years of experience to help you find that vital member. You expect - professionalism, quality candidates and value for money - this is what we offer. Our aim is to provide you with first class staff and save you time and money. Our goal is to help you grow your business with the right people on your team. We arrange thousands of visas for applicants every year so we have a massive database of CVs of Irish, UK and other nationalities available for immediate employment. We apply a fixed fee for supplying trade applicants, professional applicants, arranging licenses and LMOs. So salary negotiations do not influence our fees and you know the cost from the outset. 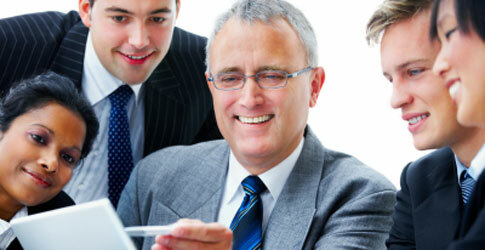 Migrate Abroad specializes in sourcing the right candidates for your company. We screen and interview every candidate ourselves first to ensure they have the skills, experience, qualifications and motivation required to work in your business before we put them forward for your review. We supply professional and skilled trade workers “work ready” to your company i.e. we make all the necessary arrangements for their recruitment, licensing pre approval / registration and visa application enabling them to begin work immediately for you. As registered migration agents we can arrange the employer approval to allow your company to employ foreign nationals. We also arrange the applicant’s work permit and entry visa (where required). These work visas ensure that applicants are legally entitled to work overseas. We arrange the license pre-approval certification for those occupations that require a license to practice in their trade / profession – thereby allowing them to work on arrival. With each assignment, we provide you with an experienced and devoted Account Manager who will ensure that your recruitment process is both seamless and effective. You will have a single point of contact for any queries you might have. While the employer approval is in process, we gather the relevant documentation from the successful applicants for their visa application (and license, if required). The employer needs to be approved to hire applicants for overseas. Migrate Abroad will provide the employer with a checklist of the required documentation which we need to get the employer approved and then prepare the approval application. - Migrate Abroad reviews CVs and contacts suitable applicants to discuss the role and the package on offer. - We bring the suitable applicants to our office for a preliminary interview to ensure that they are a suitable fit for your company. - While the employer approval is in process, we gather the relevant documentation from the successful applicants for their visa application (and license, if required). - We prepare the applicants sponsorship or work permit application and submit to the relevant immigration authorities so that the applicant can travel as soon as the application is approved. - Should a license be required, we gather the required documentation for the license application and lodge this at the appropriate stage. This ensures that the applicant is in a position to work on arrival.